All Year 10 students are able to apply to study an accelerated VCE or VET subject at Unit 1 and 2 level. This is an excellent opportunity for Year 10 students to commence their VCE program in a supportive environment. At Year 11, students may also apply to study one Unit 3 and 4 subject from the broad range of subjects on offer. Students must meet the criteria in order to study an accelerated subject. At Year 9 we offer one Accelerated program in Languages. Year 9 students are invited to apply for either Accelerated French or Indonesian. The students who select the Accelerated Languages program will select another Languages subject at Year 9 and will have the opportunity of studying two Languages subjects at Year 10 and VCE level. Enrolments into these two subjects are dependent on student numbers. Enhanced English is designed for highly able students in Years 8 and 9 as an alternative to the mainstream English class. The subject seeks to give students who are demonstrating strong proficiency in English a chance to further develop their reading, writing, speaking and critical thinking skills through a tailored course that interweaves elements of Literature and English Language through the English curriculum. The course maintains strong links with the mainstream English program, while challenging students to explore texts and key concepts in greater breadth and depth. A key element in the Enhanced English program is student participation in one or more English-related clubs or societies within the co-curricular options, including House Debating or Public Speaking, DAV Debating, external Public Speaking or College Magazine. Research on student engagement demonstrates that students who are connected to their community achieve higher grades. Therefore, Enhanced students are expected to practise their English skills and confidences outside of the classroom, to enhance their ability to think critically. Places in the Enhanced English course are available via teacher recommendation only. Students demonstrating high proficiency in Mathematics (from previous assessment data, staff recommendation and diagnostic testing data) may be invited to study Enhanced Mathematics in place of their mainstream Mathematics at Years 8, 9 and 10. Enhanced Mathematics seeks to challenge high-performing Mathematics students to further develop their skills by presenting a tailored curriculum which presents higher order thinking and connection to application based problems. 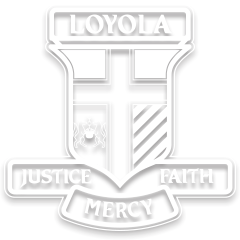 Loyola College offers full language immersion classes in French, Indonesian and Italian, where content for the subject is delivered in a language other than English. In a CLIL class the language teacher is also the subject teacher, who will find opportunities to develop the students’ language skills in the target language. This in turn will improve the student’s language proficiency and language competency. CLIL is offered at Years 9 & 10.